The UK franchised dealer sector saw a significant drop in demand for servicing and repairs during Q4 of 2017, with more than 323,000 fewer vehicles being presented to UK dealerships by the end of the three month period. According to autoVHC's latest data, the average number of vehicles being presented to aftersales departments dropped from 277 in October to 211 in December. This followed consistent month-on-month falls in the number of vehicles being presented since September of last year, with numbers dropping in October, November and December respectively. Across the UK’s 4,900-strong network this drop equated to a total of 323,400 fewer vehicles being accepted into workshops over the course of Q4, representing a 24% fall in business. December 2017 proved to be a particularly poor month for aftersales activity. Although traditionally a quieter month, the data from autoVHC, which sampled 500 UK dealerships, revealed an 8% drop in activity, even when compared with monthly figures for December 2016. Chris Saunders, Business Unit Director at autoVHC, said: “While it doesn’t come as a huge surprise to see aftersales activity wane during December, the fact that the data reveals consistent month-on-month falls over the entire course of Q4 is worrying. “The poor figures for December are further emphasised by the fact that they represent a significant drop on activity from the same month the previous year. “At a time when car sales are suffering a setback, this is also a trend that further hints at a difficult road ahead for dealers in 2018. 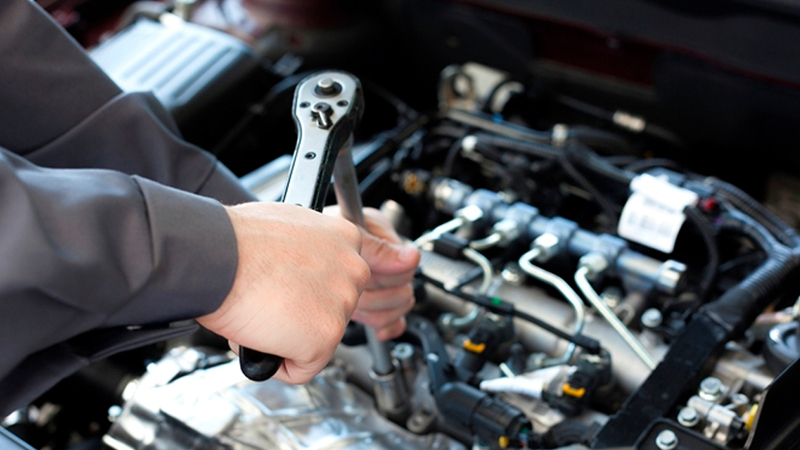 "While it’s unclear whether motorists, mindful of their finances, are simply delaying servicing and repairs, or if the drop in business comes as a result of customers preferring to use independent garages and fast-fits, it’s vital that franchised dealers now focus on ways to boost customer loyalty and attract business into the workshop.